CBNâ€™s lead counsel, Professor Fabian Ajogwu (SAN) while responding to a new suit filed by the judgment creditors (Ogoni chiefs) seeking to commit FirstBank, its chairman, Mrs. Ibukun Awosika, and managing director, Dr. Sola Adeduntan, to prison for alleged contempt for not paying them the sum of over N122.53 billion, stated that making the order absolute and compelling the CBN to pay out the huge sum would be against the interest of justice because the matter was still pending at the Supreme Court. 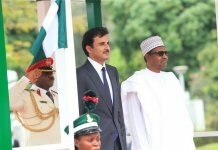 There are concerns that compelling the CBN to pay the N122.53 billion from FirstBankâ€™s funds domiciled with the central bank could have far-reaching consequences for Nigeriaâ€™s oldest and biggest lender by assets and deposits, and a systemic impact on the rest of the financial system and wider economy. But in a statement yesterday, the bank said it was a responsible and law abiding corporate citizen with the capacity and character to, on a consistent basis, meet its obligations as and when due. The case, which started in 1991, was originally instituted at the Rivers State High Court, Nchia Division, by six indigenes of Ogoniland against the Royal Dutch Shell Plc, Netherlands, Royal Dutch Shell Plc, United Kingdom, and Shell Petroleum Development Company (SPDC) of Nigeria Limited over alleged oil spills that occurred when Shell operated in the community. The plaintiffs alleged that it was the same case that led to the Ogoni struggle championed by the late Mr. Ken Saro Wiwa. Judgment was eventually entered in their favour against Shell by the state High Court, whereupon the defendant appealed against the said judgment. However, in 2001, a fresh suit was commenced by some representatives of the Ogoni people before the Federal High Court in Port Harcourt presided over by Justice Ibrahim Buba claiming N17 billion and interests on the said sum for the losses allegedly caused by the oil spills. Justice Buba, after listening to the submissions of the parties in the suit, in his judgment in 2010, awarded N17 billion to the representatives of the Ogoni people. The court equally granted the Ogoni chiefs 25 per cent interest charge on the principal sum of about N17 billion. SPDC then appealed against the judgment and applied for a stay of execution of the judgment pending the appeal. As a condition for granting the stay of execution, the court required Shellâ€™s bankers, FirstBank, to provide a guarantee of the judgment sum. This condition was complied with. But Shellâ€™s appeal failed at the Court of Appeal on technical grounds, ostensibly because it filed its processes out of time and without regularising them. When the oil giant proceeded to the Supreme Court, it also failed as the court upheld the decision of the Court of Appeal. Accordingly, last December, the judgment creditors (Ogoni representatives) commenced garnishee proceedings at the Federal High Court in Owerri presided over by Justice Lewis Allagoa. They urged the CBN to pay them N122.53 billion out of FirstBankâ€™s account in its custody. THISDAY gathered that they calculated the principal sum of N17 billion and the accrued 25 per cent interest charge per annum to arrive at the sum of N122,533,403,392. In January, Justice Allagoa granted them a temporary order (garnishee nisi) ordering the CBN to pay them the sum from FirstBankâ€™s account with it. The judgment creditors, Chief Isaac Osaro Agbara and five others (representing the Ogoni community) are represented by Mr. Lucius Nwosu (SAN) as the lead counsel, while FirstBank is represented by Chief Wole Olanipekun (SAN) as lead counsel. Shell, against whom the judgment was made and who wants to be joined in the garnishee proceedings, having filed a motion for joinder, is represented by Mr. Wale Akoni (SAN), while the garnishee, CBN, which is allegedly in custody of the N122.53 billion is represented by Ajogwu. 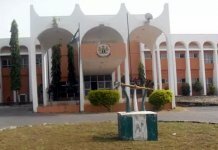 When the suit came up for hearing before Justice Lewis-Allagoa of the Federal High Court in Owerri last Friday, Ajogwu, filed a motion before the court to set aside the temporary garnishee order on the grounds that the CBN was not indebted to and does not have the private funds of FirstBank in its custody. However, Akoniâ€™s motion for Shell to be joined in the garnishee proceedings could not be taken. 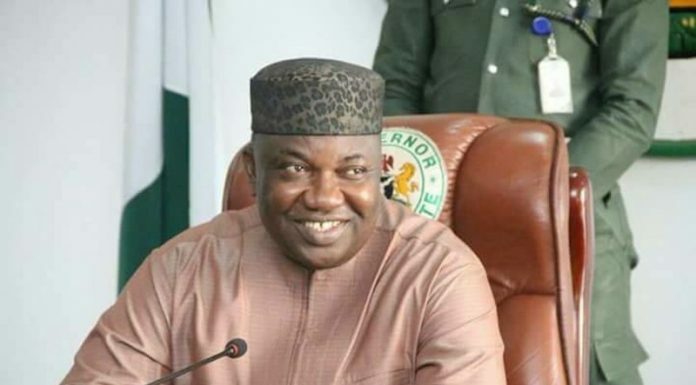 Ajogwu contended that the consent of the Attorney General of the Federation was not obtained to attach the money alleged to be in the custody of a public officer, contrary to the Sheriffs and Civil Process Act. He also argued that the funds alleged to be in the custody of the CBN could only be statutory funds, which cannot be attached for payment of judgment sums. He further averred that in view of the several suits and appeals in the matter, the proceedings were an abuse of the courtâ€™s process and amounted to forum shopping. In his motion, counsel to FirstBank, Olanipekun, also asked the court to set aside the temporary garnishee order. He argued that the court lacks the jurisdiction to hear the case, and therefore asked the court to transfer the case to Abuja or Lagos. But in his response, Nwosu stated that the Ogoni judgment creditors were entitled to the benefit of their judgment and opposed all motions by the CBN, Shell and FirstBank. After hearing all the parties in the case, Justice Allagoa adjourned the matter toÂ April 11, 2018, for the continuation of hearing. But in a statement sent to THISDAY yesterday, FirstBankâ€™s Head of Marketing and Corporate Communications, Mrs. Folake Ani-Mumuney, said her organisation was a responsible law abiding citizen with the capacity and character to meet its obligations as and when due. She said the events culminating in the issuance of the bank guarantee at the request of Shell and all the lawsuits arising from the case were before the courts. She expressed confidence that the courts would dispense justice in the cases in line with constitutional obligations. According to her, â€œFirstBank is a responsible and law abiding corporate citizen with the capacity and character to, on a consistent basis, meet its obligations as and when due. â€œThe events culminating in FirstBankâ€™s issuance of the said bank guarantee at the request of Shell Petroleum Development Company Limited as well as all matters arising therefrom and associated therewith are subject matters of different lawsuits including Suit Nos. FHC/OW/CS/C4/2017, FHC/L/NJR/1/2018 and Appeal Nos. SC/511/2017 and SC/731/2017 which are ongoing. Also, a source conversant with the case explained that FirstBankâ€™s appeal was still at the Supreme Court and hearing on the case will come up onÂ October 16, 2018. He said irrespective of the fact that the Supreme Court had not ruled on the case, the counsel to the Ogoni chiefs, Nwosu, has been pushing for FirstBank to honour the guarantee. He said FirstBank, however, has maintained that the parties have the right to exhaust their rights in law and that includes going to the Supreme Court. According to the source, this was another attempt by Nwosu to stampede the bank into paying the N122.53 billion. Opening up on other tactics employed by the counsel to the Ogoni chiefs to compel FirstBank to cough up the sum despite the fact that the matter is still being adjudicated, he said Nwosu had also petitioned the two legislative chambers of the National Assembly. 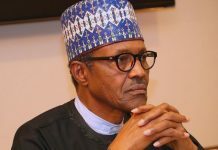 â€œNot stopping at that, he has petitioned the central banks of other countries where FirstBank has operations; he has initiated winding up proceedings against the bank in Lagos and Abuja which he discontinued; he took an action against FirstBank at the Federal High Court in Port Harcourt which he abandoned; he obtained the garnishee at the Federal High Court in Owerri seeking to attach FirstBankâ€™s funds at the CBN; then last week he filed contempt proceedings against the chairman and managing director of the bank. â€œAll these he has done irrespective of the case at the Supreme Court. But FirstBank from what I can tell is confident in the judiciary to do the right thing,â€ he said. Previous articleShould Africa be Worried About Chinese Loans?